Chris Einstein is Back !!! Now, this time we will see Chris Einstein and Yaogi Hisayoshi again. Kindaichi and Miyuki come back to Hihou-Island (Tragedy Island) to dig a treasure there, again. 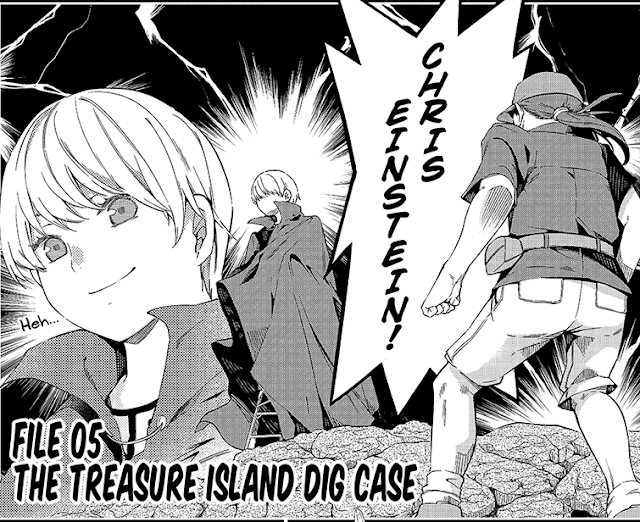 But, what they found in there are ... nothing, except Chris Einstein, Yaogi Hisayoshi's skull and Saeki Kouichirou's breast pad.